If you’re ready to find a new Honda vehicle at a price that fits your budget, then rely on the Honda current offers available at Lou Sobh's Honda of the Avenues. We want Jacksonville drivers to find the new Honda Civic or new Honda Pilot that’s perfect for their driving needs – and meets their financial needs as well. Take a look at our current finance offers online before heading to Lou Sobh's Honda of the Avenues near St. Augustine! 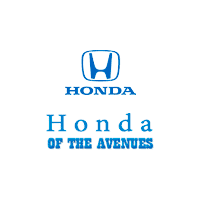 Turn to Lou Sobh's Honda of the Avenues for Honda Incentives! Ready to head home in a new Honda at a fair price? Our sales team is happy to help you find the ideal model for your commute, and our finance team is ready to assist you in securing the Honda lease or loan you need to drive off the lot. We even offer rotating dealership specials as well. After you’ve browsed our Honda offers and incentives online, make your way from Orange Park to Lou Sobh's Honda of the Avenues for a test drive!